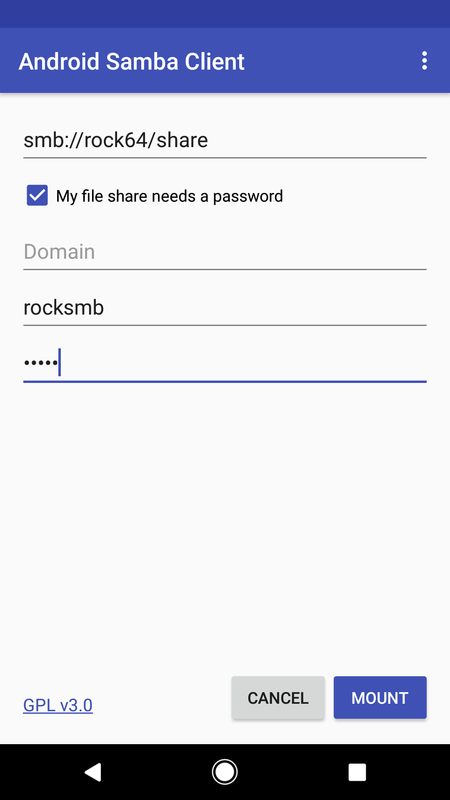 This quick and easy tutorial will show you how to set up a shared folder on your Rock64 and host it via SMB/CIFS to share it amongst Windows/Mac/Linux Clients. I will also show you how to connect to it using Googles Android client. Know the IP address/Hostname of your board, SSH access. I will continue this tutorial off from the last one, and I will set up the shared directory in the Flash drive. Firstly, you'll need to update your repositories and install any pending updates. This is good practise before installing software on any linux system. Debian/Ubuntu use the "apt" package management tool. You'll need superuser access for this. Type in your password when prompted and 'y' when prompted to install updates. Depending on your distro, samba-common-bin may already be installed. However, allow the other supporting software to be installed. The next step is to create a directory to host the network share. In this senario, I will be placing it in the Flash drive mentioned in the tutorial listed at the top. Use the Up/Down or PageUp/Down keys to navigate to the bottom of the file to create a new entry. These options means that anybody can read, write or execute files in the share, either with a samba user or as a guest. To forbid guest access, simply omit the "guest ok" line. Now we can create a specialized user for samba, if you'd like to have your share accessible only with the proper credentials. Now your Samba share will be visible and accessible! In all cases, replace the hostname/IP in the guide with the ones you have. If you want to access the drive using mobile apps, there are many apps available on both Android and iOS. 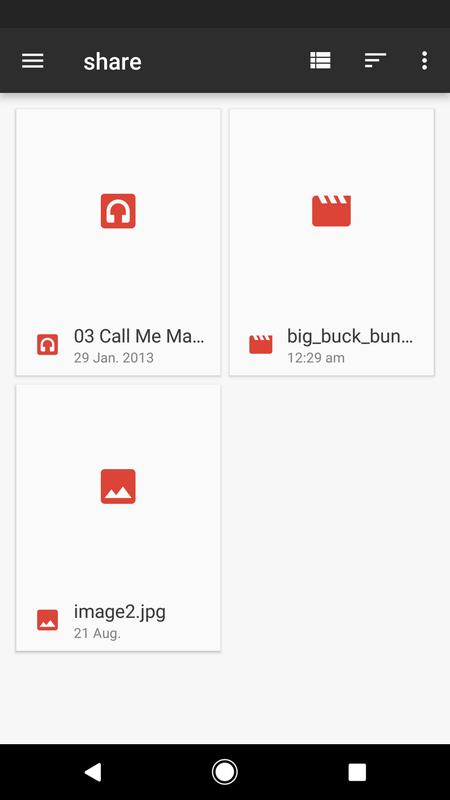 However Google's app is VERY rudimentary and barebones. I was able to open image files, but video and audio files gave me problems unless I copied them to internal memory.